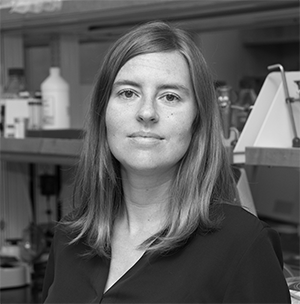 Dr. Christina Warinner earned her Ph.D. from Harvard University in 2010, and received her postdoctoral training at the University of Zurich, Switzerland. Since 2014 she is a Presidential Research Professor and Assistant Professor of Anthropology at the University of Oklahoma, where she is pioneering the study of the ancestral human microbiome. Her research includes the first detailed characterization of the ancient oral microbiome, paleoproteomic reconstructions of ancient dairying, and the identification of Treponema as a missing ancestral gut microbe in industrialized societies. Her ancient microbiome findings were named among the top 100 scientific discoveries of 2014 by Discover Magazine, and her research has been featured in more than 75 news articles, including stories in Science, Scientific American, the LA Times, the Guardian, and CNN, among others. She has been featured in multiple documentaries, and her current work on ancient Nepal appears in the award-winning children’s book, Secrets of the Sky Caves. She was awarded a US National Academy of Sciences Kavli Fellowship in 2014 and a TED Fellowship in 2012. Her TED Talks on ancient dental calculus and the evolution of the human diet have been viewed more than 1.5 million times.